Last month, I submitted a proposal to present a research paper on technical communications and rhetoric and it was accepted. The conference was in Albuquerque, New Mexico and would be my first academic conference as either an attendee or presenter. I wanted to recap my experience and provide some answers to questions that I had going into the conference. For those who read this and want to determine if their situation is similar to mine, here is a brief summary of my background as it relates to my attendance at the conference. As I would discover, navigating an academic conference is quite different from a professional conference. Anticipating this, the conference website provided an FAQ (Frequently Asked Questions) for first-time presenters, FAQs and Tips for Presenters. Of course, many details that I found to be quite significant for my experience are not on this FAQ, and that is the reason for this post. Furthermore, this experience draws so many questions that it has its own Wikipedia entry as well. Some people submit abstracts on completed papers or research that they have presented before. In my case, I had done the research and written on aspects of my topic in different places, but I had not completed a final draft of my paper before I submitted my abstract. Therefore, after I submitted my abstract (December 15, 2011) and between the time it was accepted (January 2, 2012) and the date of my presentation (February 10, 2012), I had to complete my research paper. The logistical preparation for the presentation itself was second priority to completing my paper, and as such, I left the details such as travel and presentation format until later. Suffice it to say, that for the next month I was working every day on my paper in some context. This approach, however, may not have been the best, as I will discuss next. I finished my paper the week before I was to fly to Albuquerque (I did manage to find time to book my flight and hotel). Something to note about travel expenses: As a graduate student, my university offered some travel assistance for students attending and presenting at an academic conference. I encourage other graduate students to inquire with their Graduate School and their home department for possible travel reimbursement funds. The final word count was 6000+ words (this number is important). As an “introduction” to my research, I was proud of the paper and thought that from start to finish, it presented my research to date relatively well. I arrived at the Albuquerque airport Wednesday night and I was scheduled to present Friday morning at 8 a.m. The conference registration desk was closed by the time I arrived at the hotel and even though there were some panels still presenting, I went straight to my room to unpack. Since the time I arrived at the airport, I had been following the #hashtag for the conference. As I will discuss below, this is an integral part of attending a conference. For the rest of Wednesday night I worked on some last-minute edits, ate, and went to bed. I could not attend any of the early Thursday morning panels because I was working remotely from the hotel this trip. I did continue to follow the conference #hashtag so I could keep up with the happenings. Another conference attendee/presenter was actively posting using the #hashtag and I used this opportunity to network. I kept ‘in touch’ with the conference (even though I had not even checked-in yet) through Twitter. That evening, once I realized that I had eaten alone for each meal the past two days, I turned to Twitter once more and extended an invitation to other attendees for dinner. Two people accepted and we met at a restaurant that the conference keynote speaker had recommended (using the #hashtag) the night before. It was great meeting these two because they both had conference experience and were able to offer me much needed advice. Not to mention that eating alone is not any fun when visiting a new city. The networking and connections you make at conferences can be some of the most important aspects of attending a conference. My new friends shared their experiences regarding presentation formats and how they had seen everything from movies, PowerPoint slideshows, and straight readings. I had determined by this point that I would be reading my paper verbatim. The time limit for each presenter in my session was 20 minutes. I had tried to determine what 20 minutes translated to in word count, but the Internet let me down for once. After timing myself read my paper, I found that I was at 25 minutes. I needed to cut 5 minutes from my paper. But how can I cut ‘time’ from a completed research paper? I started to go through and cross out quotes that added to an already presented argument, examples that would have to wait, and other information that was not pertinent to presenting an idea. Then I timed and reread. I did this 4 times until I was under 20 minutes (19:52 was the last). To save you the trouble of finding a paper/reading/word count calculator on the Internet, I had to cut my paper to 3,892 words to be under 20 minutes. Of course, this drastically altered my research paper, but this is how one presents at an academic conference. 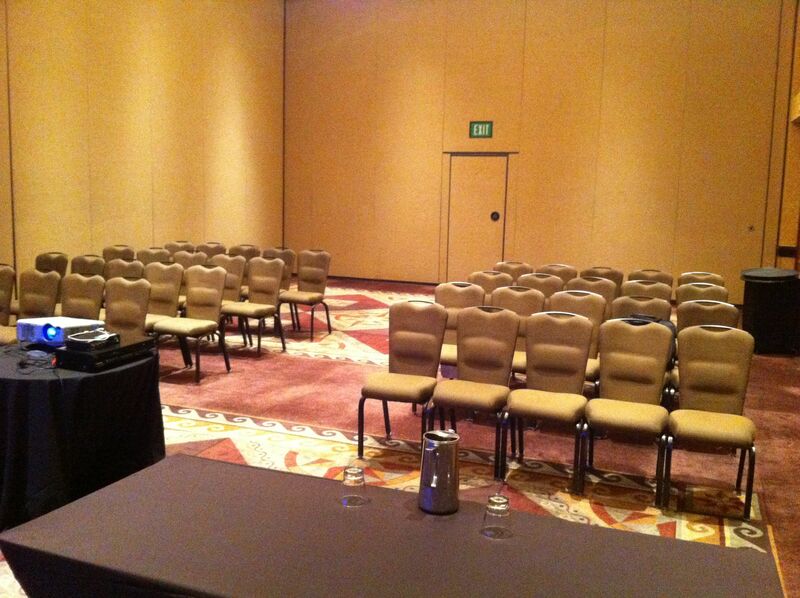 Below is a picture of the room I would be presenting in. I was the first panel of the day (8:00 a.m.), so of course no one was there yet. There is not much to report though, as I have alluded in this post, the actual presentation was uneventful. I read my paper, the other panelists gave their PowerPoint, and we left. In my panel, as I heard was also the case in other panels, the different presenters seemed to be a random conglomerate of paper/topics whose only similarities appeared to be similar key words present in their titles. I found out that for the most part, the information you present at an academic conference does not matter so much as the people that you meet. The best discussions about my topic, and others, came away from the conference altogether, at dinners, or after attending the reading of an interesting paper. It is definitely true what is said about the power and value of networking, and I came away from this experience with several new contacts who share many of the same passions that I have and with whom I will continue to interact. I do not know if my experience is typical of other academic conferences, but from what I heard when discussing this topic with others from the conference, it is. This is not to say that attending or presenting at an academic conference is without merit—it forced me to prepare a solid research paper and really narrow the argument I was trying to make. Ultimately, it is the intangible benefits of the people you meet that make the whole experience worthwhile and for this reason, I would do it again. Click “Presentations” below for information on my other past and upcoming conferences. Hi, Fer, thanks for sharing. I’ve attended academic conferences (and even presented at one) years ago. These days, I’m into professional conferences. I can totally relate to your experiences, from the frustrating cutting of one’s paper to meet the time limit to the irritating combination of unrelated papers into a panel to the valuable intangibles. So I think your post will be helpful for readers looking to present at either type of conference. One thing I would emphasize and recommend is this: If at all possible, arrive at the conference with your paper ready to go. You will get much more out of the conference, from intangible networking and from attending other panels. And it will make your own presentation better when you’ve had time to get “in sync” with the conference, the attendees and the general vibe, whether it feels like a community or competitive. P.S. Two small errors seem to have creeped in: Your abstract deadline was in 2011, not 2012; “For the rest of Thursday night” was probably Wednesday night. Yes, and I agree and suggest that others arrive at the conference with a finished paper. I was not informed of the conference until after the deadline for abstracts was already extended, so I was definitely at a disadvantage. I had planned to finish but knew, because of the breadth of my work, that it would be close. I have fixed the anachronisms in my post–I wrote that while waiting for my flight at the airport in New Mexico and after four sleepness nights, I’m not surpised that some dates and times came out wrong. Thanks for the advice; I found that the advice given was the most valuable information I received. Hi – I just found your blog today. I am presenting for the first time at a conference in early June and am just beginning to pare down my paper to manage my material in 20 minutes. I completed an MA last year, so the paper’s been accepted and is complete. We had classmates whose work was accepted in the first year and the stress to get their research into manageable form for a conference was considerable. You’ve provided a very valuable tip re: the word count. I have not come across that anywhere else. Thank you – that gives me a good guideline to go by. I like your blog as I’ve done a little technical writing too. Good luck with the remainder of your course work. I’ve presented before but completed a search to see if someone commented on the particular conference that I was to attend this time around. I didn’t find anything but did find this! Thanks! You really confirmed what others have said; that attending is more about who you meet. 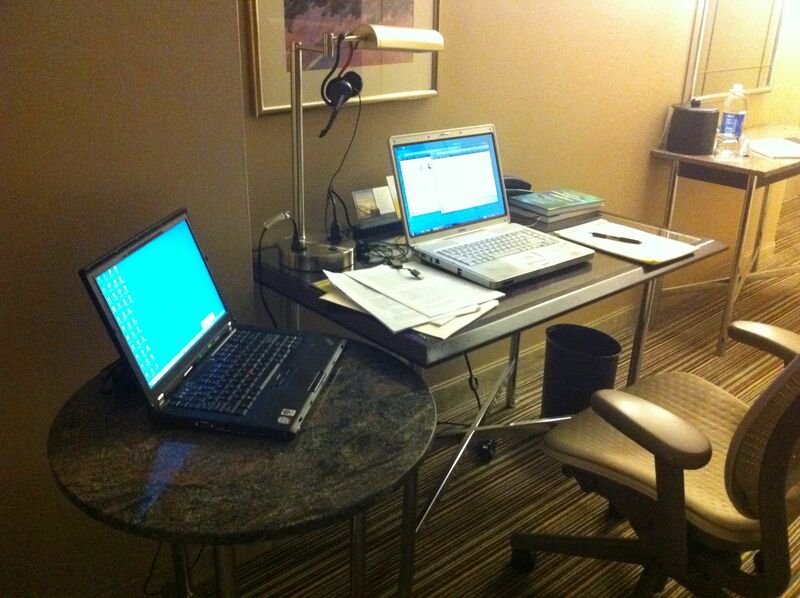 See, I really didn’t feel like preparing or attending…my conference is tomorrow! But this sharing helped so much. Thanks! Internet search is an amazing thing; I’m glad this post still has legs after all these years.